Omnia original (2003): Full bottle worthy. I really should have bought two when I could. Omnia Crystalline (2005): Pretty darned good. I like Omnia Crystalline. If I was forced to buy a watery scent with pear, this would be my easy first choice. But I don't quite adore it. Omnia Amethyste (2007): Pleasant, but I don't like it even as much as Omnia Crystalline. Omnia Green Jade (2009): Ditto. Omnia Coral (2012): A notch above the last two, but still, no cigar. Crystalline is still my favorite Omnia flanker. Omnia Indian Garnet (2014): See Omnia Coral. So, there we are. I did not have high hopes. Omnia Paraiba is supposed to be a "luscious floral scent with fruity freshness", and to intertwine "the freshness of bigarade oranges with the exuberant passion flower". That's all about right if you're used to reading pr-copy-speak. It's fresh, it's fruity, it's floral, with the emphasis on the fresh and fruity parts — it's clean, and has a definite sunny / tropical twist, but is too sheer and watery to overwhelm. The citrus in the opening is lively and bright, there's just a dab of peachy-pear-ish jammy fruit: it's persistent, mind you, that is, Omnia Paraiba is fruity through and through, but it keeps things light, and it never gets too sweet. The floral notes, as you'd expect, are pretty much general rather than specific, and the base is pale and clean. The cocoa bean — presumably a nod to the original Omnia? — is just the teeniest little hum in the base. Nobody will smell Omnia Paraiba and think of chocolate, and for that matter, I might just be imagining that I can smell it at all, because it's in the list of notes. I can't decide. Verdict: A quick try on a blotter was a bit discouraging, but now that I've worn it, I'll have to admit that I like Omnia Paraiba, in fact, I liked it more each time I wore it. That said, I have nearly nothing to offer up in its defense except that boy, this stuff is cheerful! It is not a great scent. It is by no means anywhere near as good as Omnia, and smelling it right now, while writing this, I am simultaneously smiling to myself (it's cheerful!) and acknowledging that it really does smell an awful lot like those peach fruit-leather roll-up things. (Do they still make those? If you don't even know what they are, congratulations, you are not as ancient as I am.) I put Omnia Paraiba in the same category as Eau de Cartier Zeste de Soleil, as a sort of antidote to mild seasonal affective disorder, but I would have to say that even the Cartier is the better scent. Still...did I mention it's cheerful? Bvlgari Omnia Paraiba was developed by perfumer Alberto Morillas. It features notes of Laraha orange, passion fruit and flower, gardenia, sugar cane, vetiver and cacao bean. It is available in 25 ($50), 40 ($65) and 65 ($82) ml Eau de Toilette and in matching body products. How about l’eau par kenzo? They did several flankers… or were those just seasonal limited edition thingies? And what about Herrera’s 212s? I am almost sure that *some* of the flankers from that line are dead! Same with CKone. If anyone finds a bottle of CKone Electric (greenish juice) ping me! Oh no, they still make L’Eau Par Kenzo don’t they?? I meant scents that had been discontinued but were still getting flankers, so CK One could not count since they still make CK One — does that make sense? It would be more like if they suddenly made a new flanker for the long-discontinued CK Be. Just a quick chime in to say “CK Be” it’s not discontinued. At least in Western Europe, I find it very often at Duty Free shops. I think you are right… but I guess that due to the import/customs issues that we have here in Argentina, I was under the impression that it has been discontinued!! LoL! I don’t ask more of a scent than for it to make me feel good! Well…I do want it to have that effect for some time. Well, I guess. Except I’d prefer both: it’s a great scent AND it makes me feel good! Ok, trying to think of a fragrance that is a) great and b) disturbing and c) I don’t want it because it’s disturbing. One will come to me, but offhand, nothing comes to mind. I love disturbing books, music and movies, but I just can’t cope with a disturbing aura around me! Hello Fruit Roll Ups!!! We used to push our fingers through them and make “masks”, LOL! Happy to be in the ancient elders club. Kenzo Flower. The “Essentielle” is really good. I’ve actually never smelled any of the Bvlgari “Omnias”. I can’t believe it. Oh wow, that sounds familiar (the fruit roll up “masks”). Gosh, then don’t start smelling them now when you can’t even try the original! No from-beyond flanker-spawner comes to mind either, but I like cheerful so will check this one out. I too think the original was amazing yet didn’t have the foresight to buy a single bottle or decant. Oh well. Staying on (Bulgari) topic, has Goldea become available stateside? I really liked it the first time I smelled it, even more so with each subsequent wearing. I don’t know if Goldea is here or not. I don’t think I’ve seen it. I have a sample though, might review tomorrow, or maybe next week. That little jewel bottle in turquoise is just the prettiest thing! And didn’t Alberto Morillas do MJ Daisy? (You know I like Daisy.) I couldn’t smell the original Omnia, it just didn’t register to my nose, and of the others have only tried Amethyste. If I run across this one I might give it a sniff. DOubt I will, though. He did indeed do Daisy, and yes, lots of people can’t smell Omnia! I do think the bottle looks better in the picture than it does in person. Also suspect they’ve changed the material over the years…the newer Omnia bottles just look cheaper to me than they used to. Those little glass “jewel” bottles are adorable though! Very funny review, especially the repeated assurance that this is indeed a very cheerful scent . I own both the original and Crystalline. I may actually wear the latter more. It’s a great summer scent for those days that you want to wear scent but don’t feel like being bothered by it. Ha, then you already own the best 2. If I need cheering up I’ll wear Rockin’Rio. (Escada). So no need to be ashamed at all. Ha…and Paraiba would fit pretty well into that Escada series. Hey, that IS being forced! But I really meant darned good…I am always surprised by how much I like it, when you’d think I’d hate any watery pear. You know it is kind of funny. 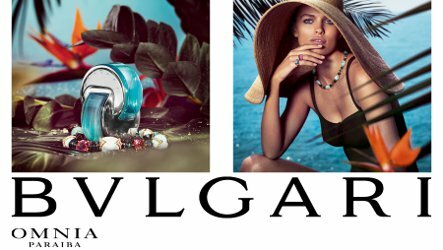 When I first went down the rabbit hole, Bvlgari was one of the first places I went. Then I found so many other perfume houses that I rarely choose any of their scents anymore. I still like Bvlgari Black, and I still like Omnia even if they don’t make it. 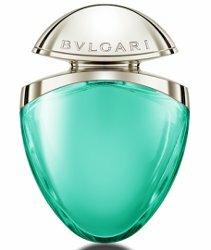 The original Bvlgari Femme was a great scent — haven’t smelled a new version lately. And I’m fond of several of the tea series. So they’re not my absolute favorite brand, but I still find them relevant, for lack of a better word — and I do think they do a better job than many mainstream brands. I read that!! But study after study has shown that some varieties of unhappiness, esp. loneliness / isolation, do shorten life span. Also, the study does not show anything like what the headline says. Only 4% of participants died, the rest are still alive. Nobody can say, based on the study, whether the unhappy women will end up, overall as a population, having shorter life spans. All they can say is that so far, of the relatively few women who have died, happiness as they measured it (probably not very accurately from what I’ve read) over a 10 year period does not seem to matter. I agree, I wonder about these results because they do seem to contradict everything else we’ve been told. I sort of gave up on the Omnia line too (except for the Original and Amethyst – the airy/cool iris works for me). This one actually sounds more intriguing. I will be giving this a try. Oh, there is still another Omnia. The new EdP (Rose gold bottle). Did you try that one out? I thought the rose gold was just the EdP version of Crystalline? If that’s the one you mean, I have not smelled it and I suppose it might be very different from the original Crystalline. I remember the fruit roll-ups so you can place me in the ancient category. Then and now, I think the only difference is that some companies are now smart enough to tout organic and/or fiber and/or naturally sweetened or no high fructose corn syrup. I have nothing to say about Bvlgari Omnia Paraina except I felt CHEERFUL after reading your review! Which should double the cheerful, I should think! Just jumping in to say that FragranceNet has the original Omnia, $65.99 for a 2.2 oz. EdP spray. They are also offering free shipping on orders over $59. I had a sample of Omnia once, and remember liking it OK, but not loving it. It seemed very, very light to me. Perhaps I am anosmic to one of the main notes in it? And it’s true that many people can barely smell Omnia or can’t smell it at all. I certainly wouldn’t ever buy it unsniffed. Paraíba is a beautiful and under the radar Brazilian state, glad to see it serving as inspiration here – Joao Pessoa’s beaches are just the color of this bottle! The Omnia flankers are vailable at my local perfume store, I’ll give them a try. You will have to tell us if the smell reminds you of Paraiba in any way! I’ll report you back. Though my Paraįba scent memories basically consist on cilantro-coconuty crab stew with beer. I thought of a discontinued pillar fragrance that still has flankers being released currently – Insense by Givenchy. The original Insense is discontinued, but the flanker Insense Ultramarine has spawned multiple flankers of itself. It even spawned a women’s version, which is the only cross-gender flanker continuation I can think of. Excellent, thank you! I knew there must be one. During a recent trip to Sephora, I was left alone for a solid 2 minutes without being asked by an associate if I needed help (a crazy-long time at Sephora, lol). Made myself several scent strips of various fragrances. As soon as Paraiba hit the air, an associate swooped in and said, “Something smells sooo good back here.” I pointed to Paraiba and her eyes widened then narrowed, as if it were the 1st time she had noticed the aqua bottle sitting amidst all the other Omnias. She swiped it up, sprayed the juice into the air, and promptly rolled her eyes back, lids shut upon inhale, proclaiming, “That’s it. Wow. That’s wonderful. I usually don’t go for fresh, watery-fruity scents, but this has something more. This one has backbone.” I agree. Perhaps it’s the hinted-at cocoa and vetiver. Regardless, the scent made us both smile. Couple hours later, post-refresher spritz from sample, was chased down by a stranger in Target and asked if it was me who smelled so good. That’s never happened before. Gave her my scent strip with the name written down and told her to head to the mall to try first hand. Cheerful scent indeed.